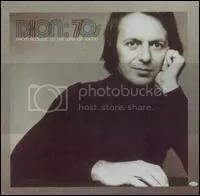 Listening to this compilation of Dion’s work between 1969-76, it is impressive to see how far his muse had traveled from 50s hits like “A Teenager in Love”, “Runaround Sue” and “I Wonder Why” once the age of Aquarius struck. Yesterday’s heroes were now regarded as squares, but Dion had larger demons to battle than the British Invasion. His career and very life was threatened by a heroin addiction, but Dion eventually conquered his habit and reinvented himself as an earnest folk-rocker with a social conscience on his comeback hit “Abraham, Martin and John.” Listen closely to the lyrics and you’ll hear a fatalistic submission to the fact that the boundless optimism of the 60s was destined to succumb to darker forces. There are assassins in our midst who are ready to claim our prophets and visionaries and leave us with only the drug addled and fried. I digress since that song isn’t even on this compilation, but it does represent his last bout with a big hit before a series of inconsistent albums that found him settling into the 70s singer-songwriter movement. These albums didn’t sell very well, but his four albums for Warner Brothers had their moments and his collaboration with Phil Spector is alternately brilliant and totally pretentious and overblown. Supposedly, Dion despised it, but Spector had it released on his own label. None of these albums really stand out enough to deserve much of a reappraisal, but this collection of his best material between 1969-1976 filters out the slop and really showcases another side of Dion that seemed impossible during his days with the Belmonts. This compilation is filled with that 70s mellow, country rock vibe that seems to speak to me too much. Take a look at this blog and about a quarter of it falls under this category. However, there are some nods to T.Rex on his ode to the power of music on “Doctor Rock and Roll” and “I Do Believe My Race is Run” wouldn’t sound out of place on Exile on Main Street. It’s kind of a schizophrenic collection that seems to alternate between utter downers and exuberant celebrations, but the downers kind of win out here. Soul is such a nebulous term to ascribe to music. It cannot really be quantifed, but you know it when you hear it. I hear it in many of these songs and the troubled tales weaved therein.